Looking for an alternative to sweet things this season? 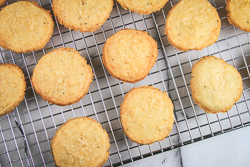 These savory cheese shortbread are guaranteed to be a hit! 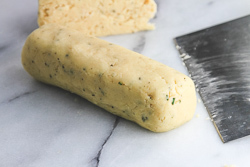 The dough is easily mixed, and quickly formed into two log forms. Once chilled, it’s a slice-and-bake routine. 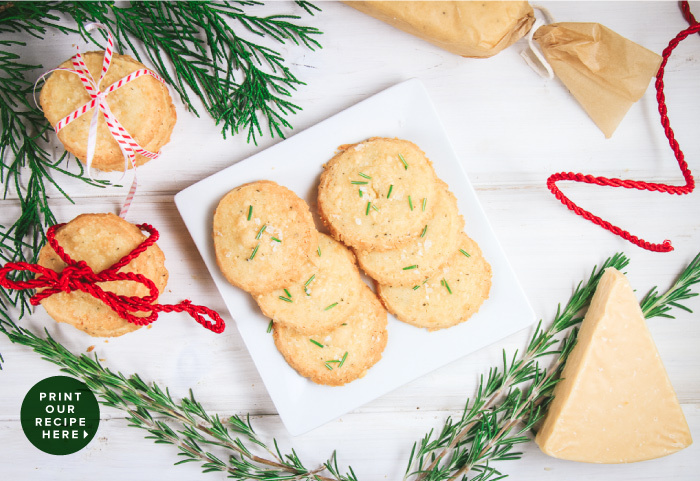 Pair these handcrafted savory shortbreads with a bottle of bubbly for a charming gift offering this season. 2. 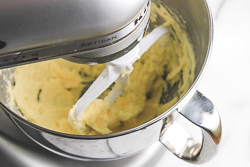 Place the butter in a stand mixer with the paddle attachment and blend on medium-low until the butter becomes creamy. 3. 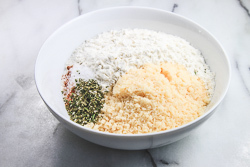 In a medium bowl, whisk together the flour, parmesan, salt, cayenne, and rosemary. 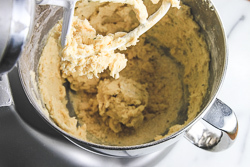 Gradually add the flour mixture to the butter until all the ingredients are evenly combined. 4. Add 1 teaspoon of water to bring the mixture together. 5. 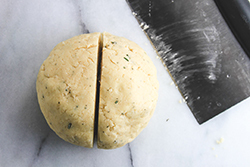 Divide the dough in half and roll each half into a log. Wrap the logs in plastic wrap and chill until firm, roughly 1 hour. 6. Slice the log into 1/4” cookies. 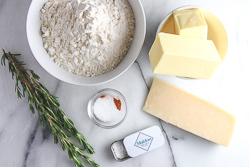 Sprinkle the cookies with the remaining parmesan and rosemary and bake for 12 minutes or until the edges begin to become lightly golden brown. 7. 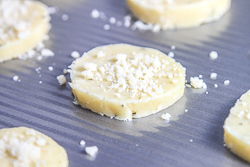 Once baked, transfer the shortbreads to a cooling rack and sprinkle with flake salt.